Right, this post is long overdue considering the trip was made last month which is never a good idea as my memory isn’t exactly top notch these days. I’ll make it as short, simple and sweet as possible. It took about 3+ months of on and off planning, initially the plan was going to Tokyo but I decided Osaka, widely regarded as the unofficial foodie heaven of Japan, to be the main goal. My friend and I booked a house with AirBnB staying at Chūō-ku district. The location was great as we have Dotonbori, a popular street food destination just 10 minutes walking distance away and Ten Ten Town, a small scale version of Tokyo’s Akihabara on the other end, and in the center was our house with Kuromon Market beside it. To top it off we have Namba station and Nippombashi station in our vicinity, perfect! 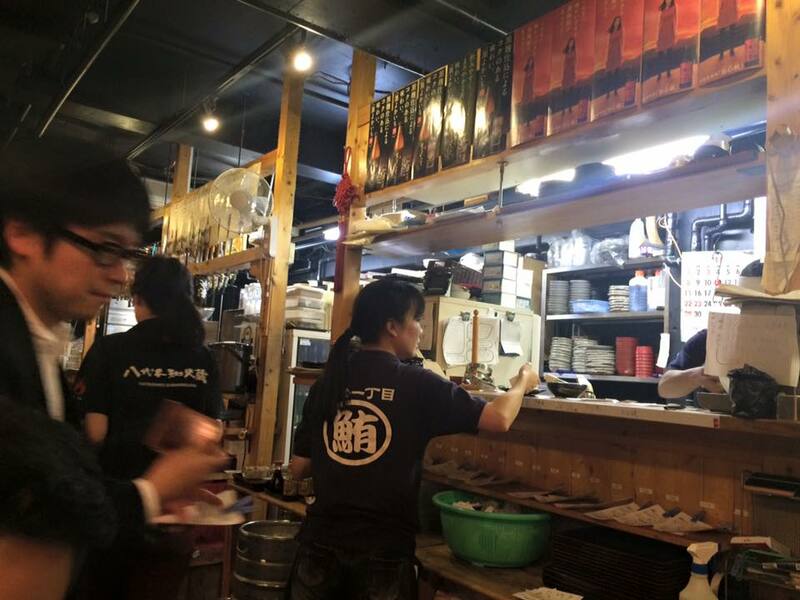 So with 7 days on our hand we thought we had plenty of time to discover Osaka, unfortunately that’s not the case as some how we still manage to missed out on a few popular like dishes such as Soba and Udon noodles. Let’s not dwell on the past as I’m sure I will be back to Japan and hopefully pay Osaka another deserved visit. Throughout the trip we did make a half day detour to Nara and Kobe. Nara is popular with their friendly deer that seems to bow to say thanks whenever given treats and numerous temples surrounding the park and Kobe, of course for their world famous beef! After landing at Itami Airport, we took the airport bus on a 35 minutes journey to the city. As we arrived early and couldn’t check-in we found a nice small ramen shop around the corner for breakfast and that marked our 1st of many delicious food encounters. 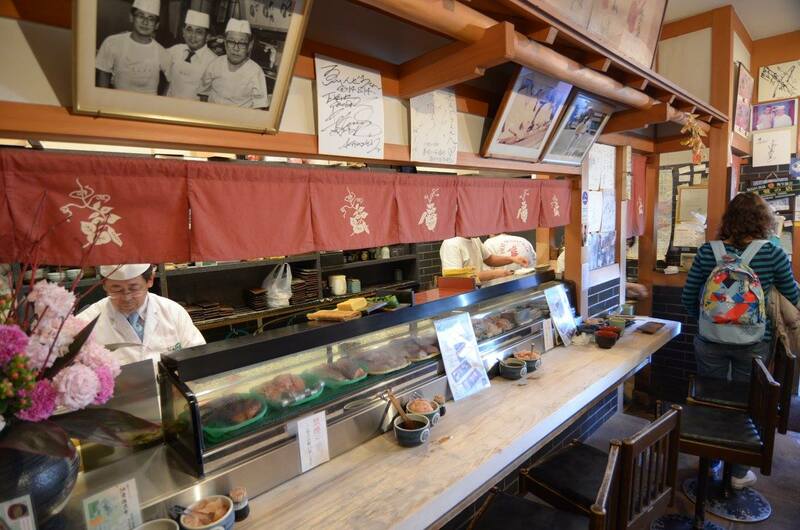 This is a small shop with less than 10 stools surrounding the serving counter, manned by 2 chefs. 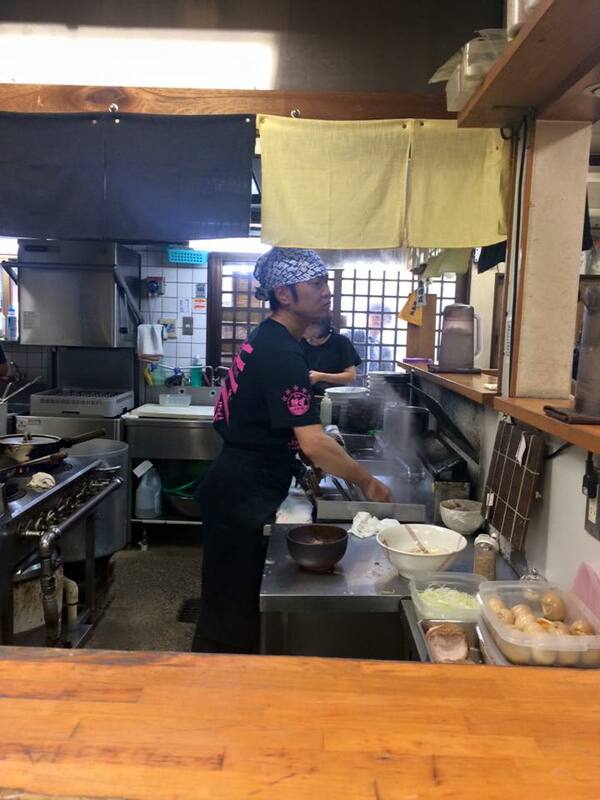 You’ll find that most ramen shops has a vending machine where you insert your money and choose your preferred ramen then hand the ticket to the chef. 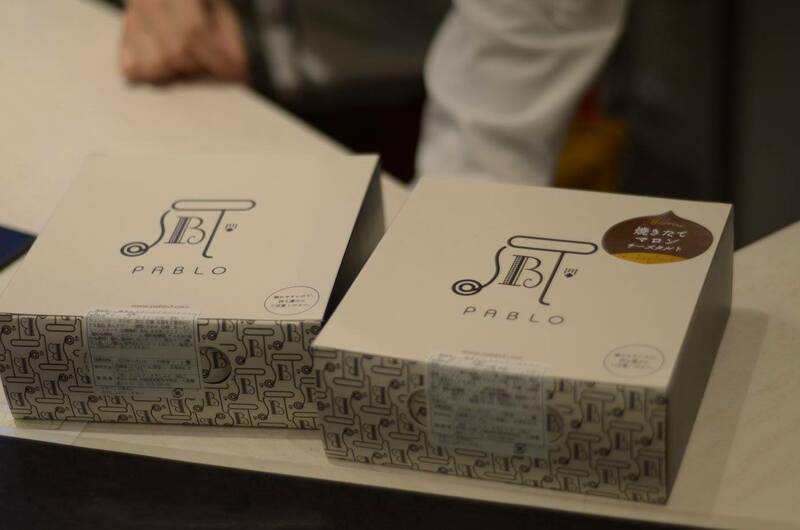 It’s quite efficient, less time spent taking orders and more time spent churning out delicious meals. The ramen here is very good, the broth is creamy and at first bite you might think it is a tad salty but as you consume more you’ll find the balance is just right. Make sure you slurp your noodle loudly, that’s a sign of appreciation in Japan. After dropping our luggage we wasted no time and off we go to our next destination. 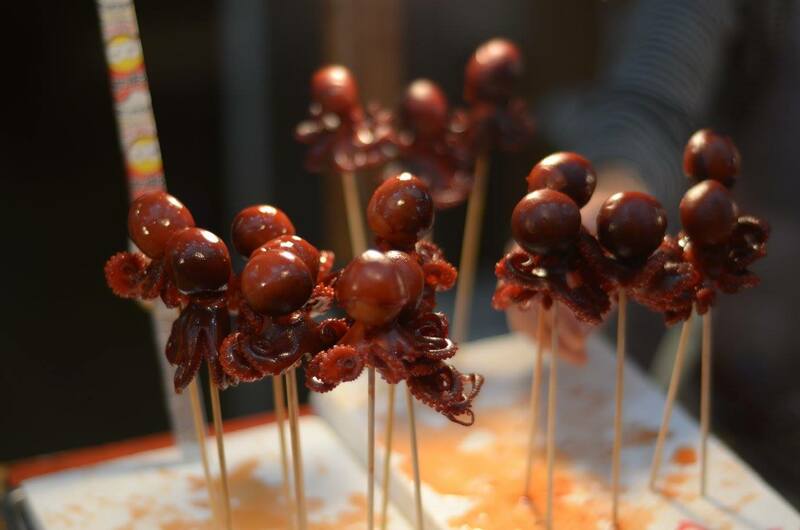 Do any research and you’ll surely find Kuromon Market as one of the top must-visits in Osaka. It’s a wet market where you find the freshest seafood but I do find it a bit touristy and thus the prices reflect just that. It’s an eye opener for most because being a wet market it’s very clean and tidy! 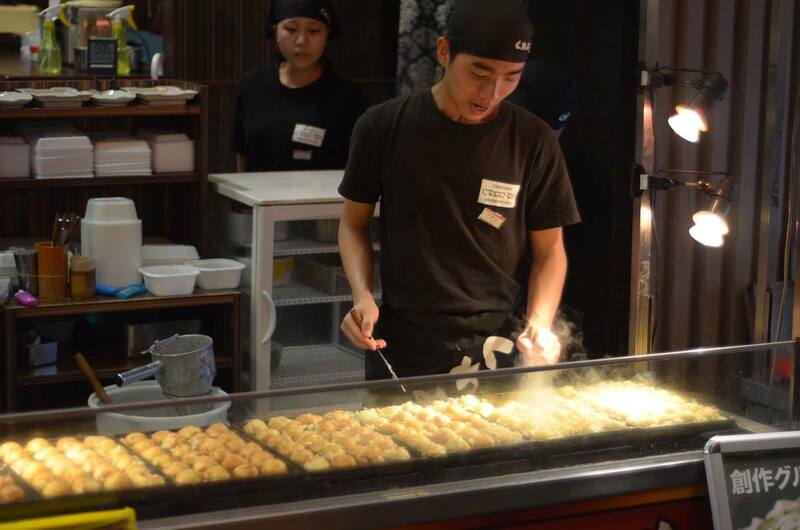 This is the place to be for Osaka’s street food; melon ice cream bread, okonomiyaki, takoyaki, yakitori, kitsune udon, crab hotpot, fugu hotpot, etc. Too many to list, so much food so little space in my stomach! We visited Dotonburi a few times throughout since it’s close by. 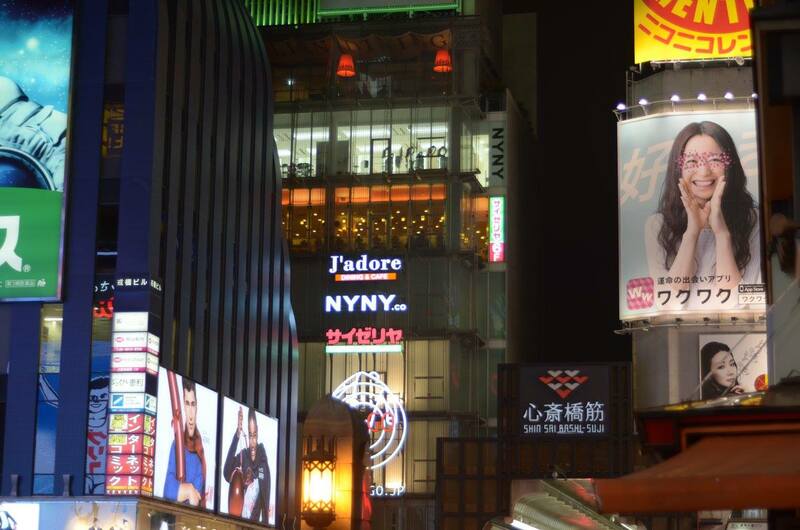 For the ladies you’re in luck because Ebisubashi and Shinsaibashi shopping districts are located next to Dotonburi! Being blokes we just did a fast walk through the districts and a bit of window shopping. “Nothing to see here, move along”. 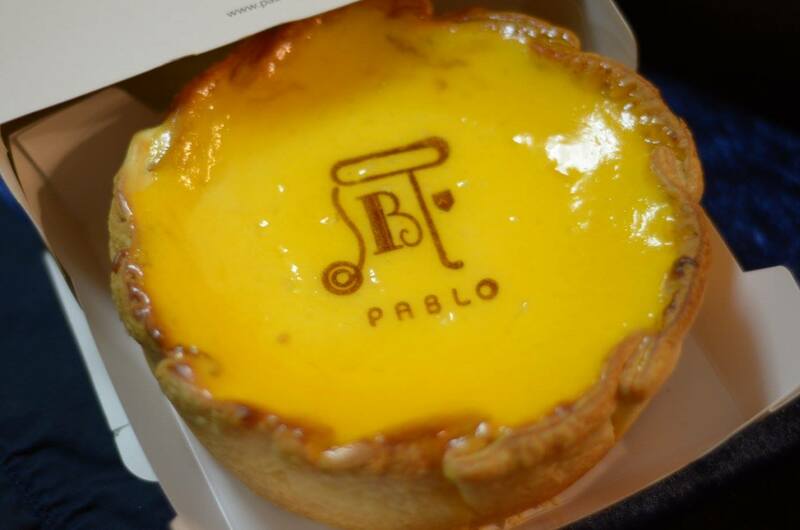 If there’s one thing I strongly recommend buying and trying in Dotonburi that would be Pablo’s cheese tarts. These cheese tarts are insanely good! So good I bought two and almost finished them all by myself in one sitting. You can find the shop just beside Shinsaibashi shopping district main entrance. And now for the best Sushi I’ve ever had in my life. 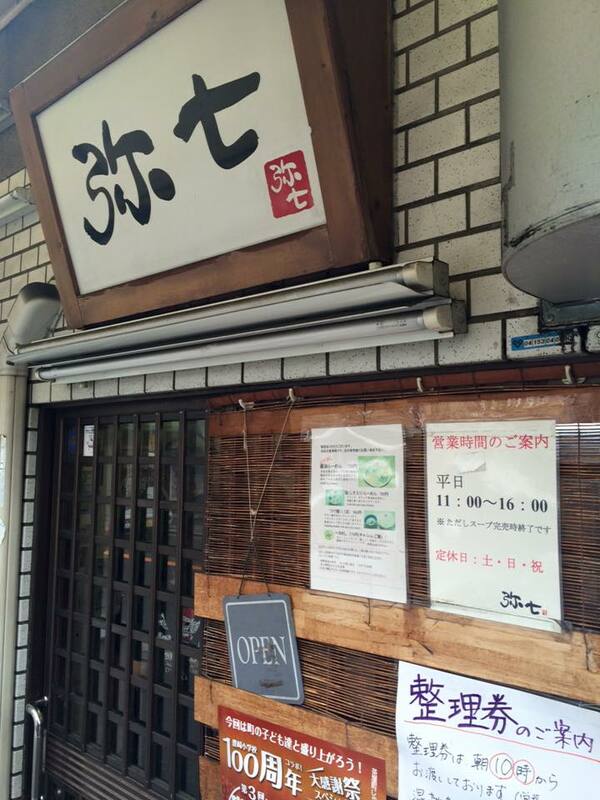 If you are looking for one of the best sushi eating experience ever then this is the place to be. 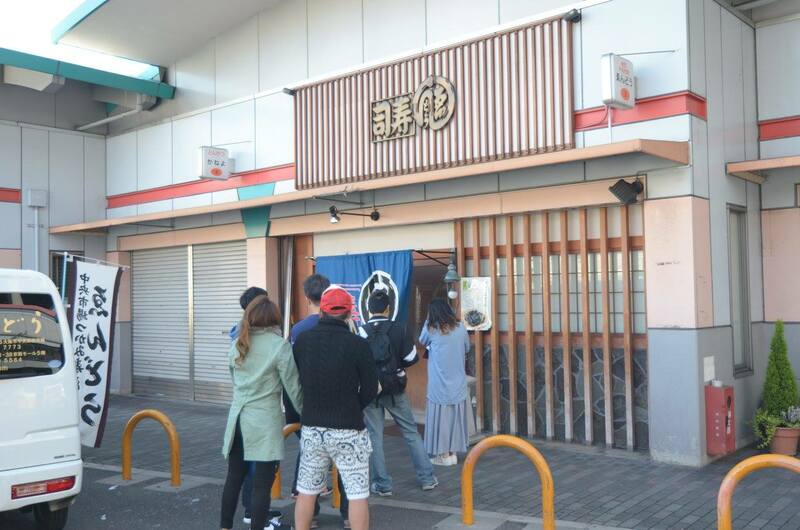 Located within Osaka Central Fish Market the small shop open at 5AM and you can be sure there will be a line forming soon after. Their menu is a simple one page consisting of 3 chef choices served on a platter of 5 different varieties of sushi. Naturally we ordered one of each and don’t forget to order their clam miso soup, it’s yummy too! It took us a good 15mins trying to locate the shop as we walked into the fish market but it’s actually located just outside the market beside the parking lot. Get your tuna fill here, prepared in dozen of ways. The food here is good but what you’re in for is the atmosphere. It is always buzzing with diners in office attires having a beer or two while snacking away. It is slightly noisy but in a good way, like an open air pub! Be sure to ask for an English menu and order away, my personal favorites are stir fried tuna and fatty tuna belly. The restaurant is open for business at 5PM till midnight. 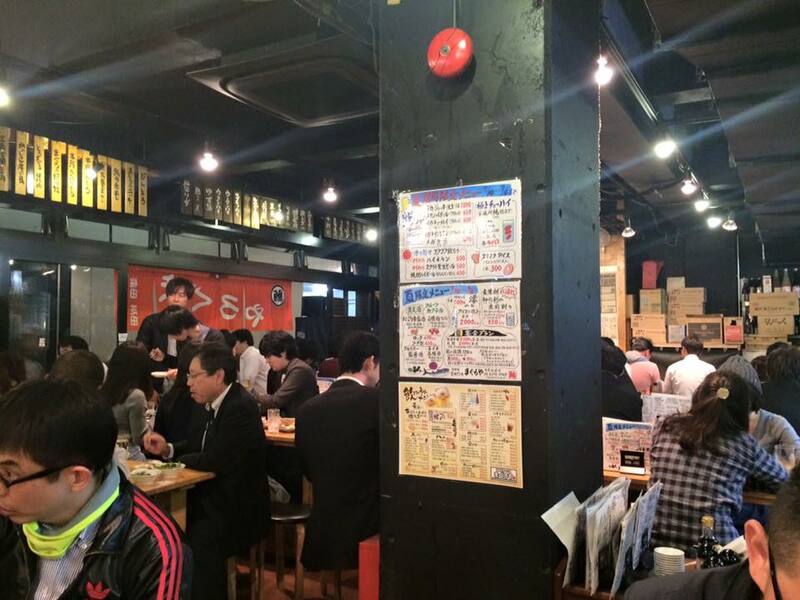 Yashichi is widely considered as one of, if not the best ramen shop in Osaka! Their business hour start at 11AM and closes at 4PM. We arrived before 11AM and by then there was already a line forming and the waitress was handing out a waiting ticket. I really love the ramen here, wish I could taste every single types of ramen they have on menu. I had the ramen with what seems to be diced BBQ char siu. The broth may look creamy but it is light and extremely flavorful. If not because of the big portion I would have drank the bowl dry! Japanese beef is a must. 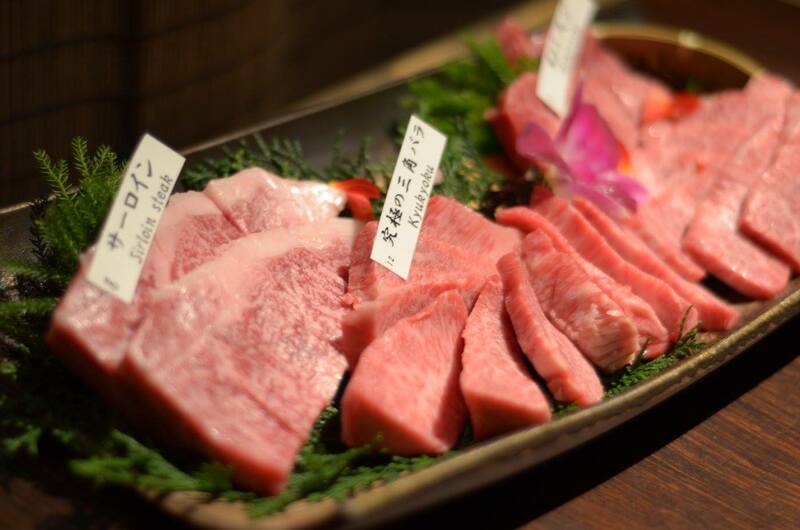 Located near Dotonburi they serve Matsusaka beef, one of the traditional top 3 wagyu beef in Japan (Kobe, Omi and Matsusaka). If you plan to give them a try do remember to make reservation beforehand as they are always fully booked or you can try your luck as we did and just show up at their front door! The kind waitress ushered us to a nearby branch within walking distance and we are able to get a small private table. Almost every 10mins interval there were customers popping up at the door and had to be turned away each time. Yakiniku means grilled meat thus you’re basically grilling the beef yourself. Because the beef are sliced thinly do take care not to overcook them. I flipped every 5 seconds for 15-20secs per side which in my opinion is more than sufficient, thicker cuts may require additional 10secs. As the cooked beef was resting on the plate it doesn’t take long for it to be covered in its own fatty juices. The texture when you bite into it is like taking a bite off a cheesecake, it’s soft with just a touch of resistance. And that’s that. There are other dishes we have tried, such as fugu sukiyaki, Kobe beef sukiyaki, the ginormous food court below Takashiyama shopping mall and so on. The above mentioned are the ones I enjoyed, ultimately it’s the joy of discovering new food that makes all the traveling worth while. 5. At the railways sometimes the train lines displayed on the wall is only available in Japanese, just inquire with the staff stationed at the ticketing counter. Let them know your destination and they will inform you the ticket cost and which platform to board. 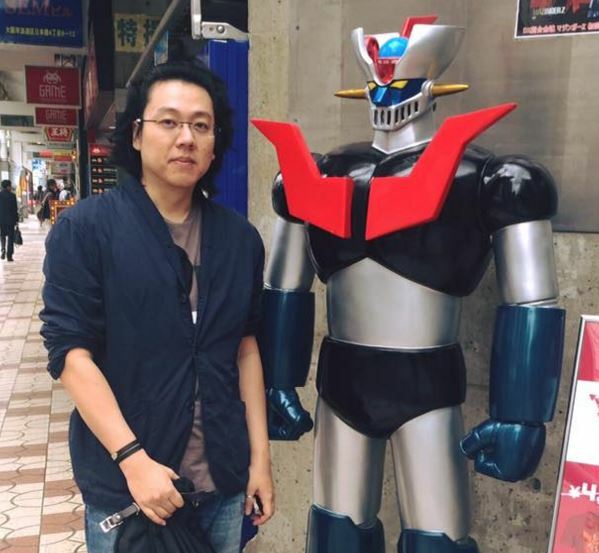 Hi Martin, awesome post on Osaka you have here! 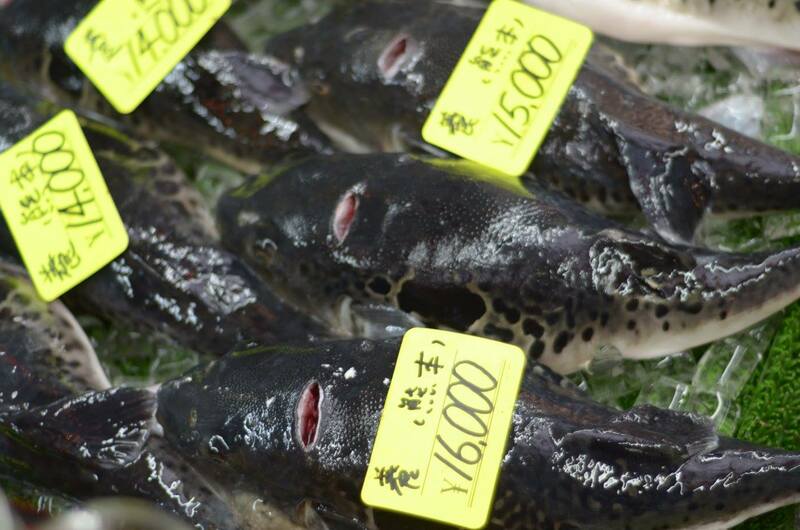 I was looking for good pictures of uni from Kuromon Ichiba Market and found your page. Would it be ok if I posted your 2 pictures of uni on our own blog? I’ll give you full credit and add links back to your original post of course. Please let me know if that’s ok. Thanks!